The greatest obstacle to a filmmaker's career has always been access. Specifically, access defined as the opportunity to pitch and produce a project with major studios, movie stars, production companies, network executives, agents and distributors. Reaching the people with the financial and logistical capabilities to make a major movie has been made almost impossible by the narrow gate that only lets a privileged few through. For the most part, to get through has required a combination of networking, winning a major festival award and luck. Despite the advent of digital technology (or maybe because of it ~~ more competitors trying to make it) it's still hard to break in. Do you have 100% rights to your video or script? Have your legal stuff in order before submitting anything. Register the script with the WGA, at a minimum. If you don't have 100% rights and it's a video, get parties involved in the making of it to sign releases and agreements. If you don't have 100% rights to it because it's a script you co-wrote with a partner, he or she needs to be down with your submission plan (have an agreement with them) and they to need to create an account on Amazon Studios, as well. By the way, it's okay if you submitted your script to contests or festivals as long as you own the rights 100%. Do you know what this opportunity really means, financially? The opportunity is for Amazon Studios to option your script and video for development and then if they are interested to purchase it wholesale. The initial option period lasts 45 days unless it's extended. They can extend the option period 2 more times for up to 18 months each time by paying you $10,000 each time. Whether they extend or not, if they exercise the option, they will pay you either $200,000 for a feature or $55,000 for a series. After that they will then OWN it outright ~~ "If we exercise the Option, we will own, and you hereby assign and sell to us, entirely and in perpetuity and throughout the world, the Option Rights." This means there is no profit participation. According to the fine print in the Development/Option contract, there are additional bonuses if the movie is made under a certain budget, surpasses a specific domestic box office, and is turned into a sequel. There are also bonuses for the series based on running time and whether it's on television or online including a percentage of merchandising. But that's it, in terms of what you can make off of the project. Now this is not casting aspersions on Amazon Studios. Their purchase price is still relatively generous, they are providing an entryway to a potentially lucrative career and it should surprise no one that they will leverage their power to set the terms favorable to them. However, I point this out so that you think like a professional about what you are willing to sell, how long you are willing to wait (potentially 3 years for $20,000 if they extend the option period ~~ see point 5 below) and that you are prepared to completely give up the project you are submitting to Amazon Studios. Give them a good project that can sell and open doors for you, save that Star Wars-like franchise project for when you are inside the private party. Are you submitting privately or publicly? 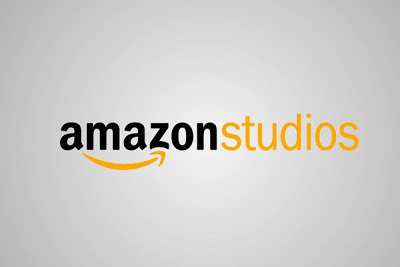 Amazon Studios allows you to submit for private evaluation by the Amazon Studios board only or for public evaluation by both the Amazon Studios board and visitors to the website. Everything else regarding your submission remains pretty much the same. The main reason to submit privately is to protect your work from outsiders while Amazon Studios reviews it. However, if your strategy consists of more than just trying to sell your concept (for example, networking and audience testing), you can use this opportunity to find collaborators and get feedback. These could be like-minded collaborators you can work with not only on the Amazon project but even for other projects you have outside of your submission. Similarly, audience feedback can inform you of the pros and cons of your project which you can use to your benefit even if Amazon Studios does not pick it up. Do you want to collaborate? Even if you don't have a script, you can still get involved and help shape a project on the site. There are even paid opportunities, separate from submissions, to use your writing or directing skills and get paid for it. What kinds of movies does Warner Bros. make? This Amazon Studios opportunity is made possible by a first look deal with Warner Bros. Therefore, it wouldn't hurt to know what kind of projects Warner Bros. likes to develop and produce. But don't pander or copy what was made recently, be original and authentic. Knowing the above is the first step in your process to submitting to Amazon Studios should you choose to do so. Do your homework and think it through. Explore the Amazon Studios website and read and study everything they have in relation to your intended project to determine if they are the right fit for you (FAQs, the agreements, the projects in development, etc.). And don't forget proper submission formats for scripts and video. If you decide to go for it, all the best to you and let me know about it using the contact form on the left column. I would have less of a problem with the whole concept if it were guaranteed that my name remained attached to the film once it was released. The whole industry is disrespectful of writers, without whom there would be NO project in the first place. And certainly if the writer had not submitted the original concept, no one else could have come on board to change any part of it. They mention WGA rules on credit assessment but then go on to say they don't have to abide by them. All in all, even the WGA rules aren't so hot -- the original writer 's ideas where what allowed other writers to expand their own with respect to the original project. Totally agree. If the original writer is not assured he or she will be given fully credit for the work at the end of the day, the transaction becomes a totally mercenary exercise. Without proper acknowledgment some, but not all, writers will find this offer by Amazon bereft of real value.